In other pages of this web site we have given information on a wide range of applications. But we recognise that you may not have found information relating to your specific needs. Although barcode technology is well established, at least in high tech terms, there are still many organisations, and many functions that have not moved to benefit from this technology. Our experience is that most applications follow an underlying pattern - they are usually about people, places and things. Our clients want to know what an item is, where it is, who is responsible for it, what is happening to it (and who is doing it). They also want to know history, where it has been, what has happened to it, and who has been responsible. The items that are tracked range over a broad spectrum that includes IT assets, chemicals, safety equipment, fresh produce, live animals, flowers, secure folders, packages and parcels, tools and test equipment. Although each application is different, our tracking system has been designed with the flexibility to accommodate each of these applications. And we understand that there is frequently resistance to change, so that customising the system to work the way that you work, is key to a smooth implementation. Having been in business since 1991, we have developed so many systems that it is not possible to describe them all in a concise fashion. But the following list will give you some idea of the capabilities of the technologies and of our systems. If your application is close to any of these, feel free to contact us for more information, and to see how we can help you, by saving money, saving time, reducing errors, and helping you offer better service to your clients. Want to know what is due for calibration? And where it is? And be sure that nothing is overdue? Our system can do that. Easy. We help ensure compliance. Avoid costly re-testing. And now we can do it with Active RFID tags too. Using a handheld computer in a helicopter, linked to GPS to record the size, location and make-up of caribou herds. Imagine an emergency situation on a campus where many different chemicals are used. If you have a small fire in a particular location, it is essential that you know what items are in that room. Our system constantly tracks the items, and gives the key information to the Emergency Response Team in a timely fashion. It does this easily, quickly, accurately. Saving lives. Fed-ex tracks the product to the front door, but on a large campus, things got lost. Until our system was installed. We can help you: know when it was docked, when it was allocated to a route, when it was delivered - and we can collect the signatures to prove it. You can have sophisticated reports listing undelivered items, and you can quickly find and produce a record of any given delivery. With 3000 barriers to inspect and maintain, this municipality came to us for a portable system, using barcodes and GPS to inspect infrastructure and report items requiring maintenance. Nobody's favourite chore. Masses of detail. One error can hold the shipment, for hours, days or weeks. With our system, you just line up the items, read their barcodes, and press a button. Voila, a commercial invoice with all required information. Plus, as a bonus, the FCC and FDA information. Easy, fast, accurate. Save the headache of held-up deliveries, and the cost of re-scheduling foreign operations. Helps you meet your commitments. This team has several hundred items of specialised equipment in their response vehicles. It is often removed for training or maintenance, and it doesn't always get replaced. If required on an operation, the lack of equipment can put lives at risk. As a weekly routine, the vehicles are emptied and restocked, using our system to monitor the process. Easy, fast, accurate. And the team can deal with difficult and dangerous situations with confidence, knowing that they have all required tools to hand. A good way to save a life. When you are delivering 6000 pieces of furniture, installed and in place, all part of one project, then it is difficult to make sure that nothing gets lost, or gets to the wrong place. 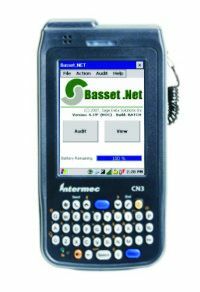 But with barcoded asset tags and the BassetPro system, you know that everything is where it is supposed to be. For all 6000 items. There are many reasons to track and trace a paper file. It may be needed in a hurry. It may have security implications. Or perhaps I just want to put this new item with the others. In many processes, the file passes through several hands. Our system can tell you where the file is. Now. And using RFID for file tracking can be part of that magic. 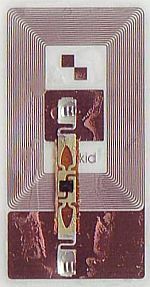 Click here for more on file tracking with RFID. This organisation outfitted teams for scientific projects in the deep bush. Everything from frying pans to bear spray. And when the float plane leaves, you are on your own for four months. Too late to find you forgot something (especially the bear spray). The system worked perfectly. No complaints. Not for the first four months. And not afterwards either. IT presents special challenges. It is a significant expense for most organisations. Changing technology means that turnover in equipment is high. We can provide systems to track your IT equipment from receipt, through configuration and deployment to disposal or return at end of lease. And we can provide information and tools for your help desk and IT support personnel. When the manufacturer announces a product recall for exploding batteries, you will know how many you have and where they are. When the auditor says "you spent $14 million on laptops, show me this one" you will know exactly where it is and who is responsible for it. We have the tools (and the knowledge, and the experience) to help. We can help manage inventory. Prevent stock outs. Track materials through manufacturing and collect QA information. Tracking Lifting Gear, which includes heavy slings, chains and wire cables, provides a special challenge. We have a solution that uses RFID tags to identify each piece. These tags are mounted in a robust enclosure that protects them from the wear, tear and abuse which is part of normal operation for this type of equipment. Tracking this equipment is essential, especially in managing mandatory testing and certification. This system not only helps make sure the certification is done, it also helps prove that it has been done. Click for more information on Lifting gear management and certification. The courier companies can track packages to your receiving dock, but what then? For many organisations tracking packages from the dock to the deck is a challenge, and lost packages can lead to waste, lost money and lost time. Our mail tracking systems can manage your inbound packages from dock to desk. Click here for more information about inbound mail tracking. Want to track what field maintenance activities have gone on with a particular piece of equipment? Use the handheld computer. Scan the barcode. There you are. And add your own notes to the end of the record. And be connected to your home base for ongoing technical support. All with one (very small, very rugged) machine. On a large campus, messengers and support staff can be directed by the system, and jobs can be logged, with their status, pending, being actioned, completed. Proof that standards of service are being met. We can track materials as they move through the line. RFID helps you replenish just in time. Watch your batches move through the process in real time. This organisation needed to provide officers with equipment for each shift, radios, vehicles, weapons. And they had to know who had what. The system makes issues fast and easy. And it doesn't make mistakes. Usually this term is used to apply to items delivered over a wide geographic area. Our system will help you track the packages as they are loaded to the delivery trucks, and then tracks each delivery. Information collected includes signature, identity of the recipient, identification of packages and location (from GPS). Information can be collected in batch mode or delivered immediately through a wide area radio network. A web-based application provides access to authorised individuals so that delivers can be tracked in real-time. When deliveries are critical, notification can be provided immediately for failed deliveries by e-mail or SMS. This is one of our favourite subjects. Even more exciting than economics. SageData personnel have a deep history with Quality Programmes, and can provide tools to monitor your processes in real time, as well as analytic software to help warn when processes begin to move out of control. Our favourite story is the one where we noticed a process drift, and were able to analyse the data and show that the problem was with training of the weekend QA inspectors. Easily resolved, once identified. The problem with a lot of emergency equipment is that you don't often use it. But when you do need it, it has to be there, and in good working order. Our system controls the routine inspections. For the inspectors, it gives direction, and warns of any omissions. For management, it provides the essential confirmation that inspections have been done to schedule, and in compliance with regulations. You have a small stores. It is mostly consumables, stationery, small tools, perhaps lots of forms. You definitely need a system, but your stores is not big enough for a full WMS (warehouse management system). You don't want to run out of stock so you're very concerned with MSL (minimum stock levels). Perhaps you want to chargeback items issued. And you want to be ready when the external auditor comes to visit. You don't want to dedicate a lot of IT resources. The system has to be easy to install, reliable, and easily maintained. And you don't want to have to spend a lot of time training new stores personnel. We have the solution. Knowing which animal had which medication, and when, is not easy. Unless the beast is wearing an RFID ear tag. That makes it easy. Our system can track the animal from birth until... much later. Everything is on permanent record. Want to know about the water table? What the geology is way down there? One way is to drill a lot of specific bore holes. Another way is to collect data as wells are drilled for other purposes, for exploration, for drinking water, for irrigation. Well drilling is a mucky business, not good for bits of paper and pencils. A rugged handheld computer is easy to use, avoids ambiguity, and can transfer data immediately to the central database. No option for lost data. And we do GPS too. This client tracks meat products from receipt through storage, calling off product that runs through a processing centre before being distributed to various stores. The above is just a partial list of projects we have tackled for a variety of clients, private and public sector. Please feel free to contact us for more information. We would be happy to discuss your requirements.